Carpet One Floor & Home in Fort Wayne, IN is your local neighborhood retailer for all things flooring, including carpet. Carpet continues to be among one of the top choices in flooring for homeowners today because of its unmatched comfort and qualities. There are several characteristics that play important roles in how a carpet functions, like the pile and fiber types. Even the carpet cushion and base material impact how a carpet will function in your home. Carpet is more durable than you think, and comes in stain, wear and fade resistant options for the busiest of homes. The type of lifestyle you have has an impact on the type of carpet you need for your home. If you live a more active lifestyle, consider looking into durable and stain resistant carpets. If you live a more relaxed lifestyle than something super soft and plush would be great for you and your home. 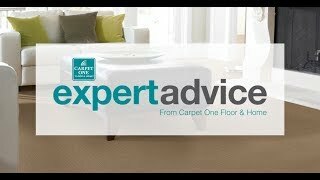 What Type of Carpet is Best? There are many different types of carpets such as stain resistant, ultra-soft and even ultra-strong. If you have an active lifestyle, or even have children and pets in your home, then you should consider stain resistant carpeting. You may want to consider the color you want your carpet to be. Something that compliments your home décor, brightens up a room, or even hides stains and pet fur. Knowing the types of fibers used in a carpet is also important in choosing one for your home. There are synthetic fibers like nylon and polyester that can be made to be super soft or ultra-strong. Then there are natural fibers like wool, which retains color well and are also naturally allergy friendly. Carpet can be installed in several different places around your home because of its versatile characteristics and style. Carpet is the ideal flooring choices for bedrooms because of its softness and comfort. Other places you can install carpet include children’s playrooms, dens, and living rooms. You can even install carpet in high traffic areas such as stairs and hallways. Carpet should not be installed in places with high moisture like kitchens and bathrooms. There are carpets, however, that can be installed in basements with moisture under control. Learn more about the carpets and brands we carry in our showroom, and be sure to stop by and speak with a flooring expert about installing carpet in your home. We also offer Carpet One Floor & Home exclusive brands such as Relax, it’s…Lees®, Tigress®, and Innovia™. Carpet continues to be a top choice among homeowners for many different reasons. Installing carpet in your home comes with different benefits and advantages. Follow the link below to learn more. Carpet cushion, or carpet padding, is an important part of having carpet installed in your home. Not only will it help with the life and durability of your carpet, but it can also protect your subfloors. Follow the link below to learn more about carpet cushion. Carpet is made from fibers, which play a role in how your carpet will look, function, and feel. Follow the link below to learn more about the different carpet types we offer.